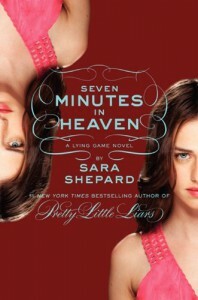 Seven Minutes in Heaven - Sara Shepard - review - The Goodness of books! I KNEW IT WAS HIM!!!!!!! As I was reading the book, I was mentally shifting through pieces of evidence in my head and I decided to settle on Ethan as the culprit. I WAS SO FREAKIN RIGHT!!!!!! Although, I have to say Sara Shepard is really smart. She knew that many people would suspect Ethan because he is the last person you would expect. So what does she do? 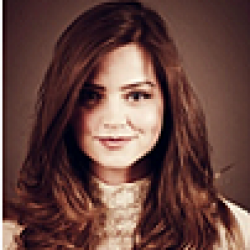 She steers us away from who we believe it to be to Garret. Even though I had Ethan in mind, the book was telling me otherwise. Book: It's not Ethan, it can't be. Sutton remembered more of that night. Garret was there. It says he let go. He killed her. He has motives. It's Garret. *whispers* It's Garret. At one point I believed it to be Garret which extremely pissed me off. Because I thought to myself, if it really is Garret then where's the twist. No-one wants Garret to be the bad guy. That's no fun at all. But it wasn't. Then when it was revealed to be Ethan I was shocked. Not because it was Ethan. I had a hunch that was coming but because of how the pieces of evidence clicked together. When Emma found the mental records of Ethan. I was gobsmacked and absolutely terrified. Ethan.Was.A.Freak. He Freaking murdered a child at the age of 10. He spied on Emma through his telescope which is so so creepy. And not just that but the fact that from the beginning it was obvious it was him but we didn't expect it. I mean, how was it that out of all people who knew Sutton so so well it was Ethan who found out about Sutton not being Sutton. And when Emma was playing along as if she didn't know it was Ethan I was so so terrified for her. When you know you're next to a murderer you just freak out. Especially when you're reading about it. So yeah .... AMAZING!!!!! I loved the Pretty Little Liars books. Up to the Book 8 that is. I stopped after that. And Lying Game is AH-MAZING!!!! Another great series by Sara Shepard. I'm glad she didn't prolong the series. I wish they didn't cancel the show!!! !